Welcome all, to the first edition of this new feature for my blog. So what is this all about? A lot of you have their own versions of something similar like this. Either you present some cool weekly posts that you noticed, do a reblog, or give new bloggers a way to present themselves. I have always said that one of the things that I love the most about blogging is the interacting with everyone. Yes, I love writing posts. But I also love reading posts from other blogs, and responding/ exchanging comments. For those of you that are maybe scared to leave a comment on a post I can only give this advice: take the plunge. I can really say that I have made a couple of awesome friends by doing this. In this feature I will put a few blogs in the spotlight each month, that you may or may not yet know about. One thing is for sure, all of them are amazing and the person responsible for creating it is beyond cool. As my own blog is focussing on multiple topics it will not be a big surprise I am also going to present different kinds of blogs. This month I will feature blogs from the world of anime, books and movies. If you don’t already know them, check them out and give them a follow! You know you want to. So without further ado, let’s shine a light on them! Before you start accusing me of calling people names, that really is the title of Lina’s blog Tiny ugly animal. But I can tell you that this blog is anything but ugly. I have been following Lina for a couple of weeks now, and it’s been a total joy. So why do I like her blog so much? Well, first off Lina herself is awesome. When you leave a comment she always responds, and I have been really enjoying the discussions we have had through the comments section. Some of these have almost turned into complete chat sessions (lol😂), but that for me has only added to the fun. Not only that, her posts are absolutely amazing. Insights on animeseries, the 30 day anime challenge, her own personal take on things, all of them are simply put wonderful to read. If you don’t take my word for it just read this review (ooops, sorry Lina I called it a review😂), for one of my favorite animeseries: Kids on the slope. It really shows off her amazing writing skills, and while you are there take a look around and ofcourse if you aren’t already doing so, follow her! She has trouble believing she will get to 100 followers, but of course you and I both know, this is going to happen! Poor Shokamoka has been on the receiving end of awards for quite some time now. In fact there is a certain person who shall remain nameless here (but to give you a hint her name starts with an I and ends with rina😂) that made it her personal mission to torture him with those things. But, let’s get one thing pretty much straight here: he deserves each and every one of those awards. Shokamoka is one of the funniest bloggers I have met. He really has a terrific sense of humor (though he probably will deny that himself) and some of his posts and comments are hilarious. But in case you are wondering, that is not the only thing this skillfull guy does well. He is a blogger that works hard and besides reviews, has also written a lot of posts about other subjects such as Twitter, but also music in anime. And you see him pop up everywhere on other blogs providing comments. In short Shokamoka is a blogger that basically you just need to follow without asking any more questions. You are still in doubt? Well let me provide a link to one of his posts that I really enjoyed reading. It is for an anime series called Two Car. This is actually part 1 of a two part series, but it really gives a great insight as to why he is so awesome. I have not yet been following Samantha for a very long time, but sometimes you just come across a blog and you know pretty from the beginning that you are there to stay. Samantha is a very friendly blogger who is just incredibly nice to talk too. Always thankful and appreciative, she also writes her book reviews in a very different way than most people do. I find this incredibly refreshing. Instead of going into a very lengthty analysis of the novel, her reviews are straight and to the point. They offer a short synopsis of what the book is about together with her insights of why you should (or should not) read it. Her posts also have a very awesome layout. Besides book reviews, there have also been a couple of great tag posts that were really a lot of fun to read. The only reason that I can think of as to why she currently has less than 100 followers is that probably you just haven’t seen how awesome she and her blog truly are. So visit her blog ASAP, and follow her already. And let me provide a link to one of her terrific posts to get you started. This is a blog that I have been following for a pretty long time now. Aaron is just a really friendly and engaging blogger who I have always enjoyed talking to a lot. His blog has a particular focus on books in the fantasy and science fiction range (gee, I wonder why I like that blog so much😂😂). Seriously though, his posts are amazing to read. The reviews are never too long, but offer just enough to get you interested for a novel, or not of course if the book that is featured isn’t to his liking. I also enjoy the fact that he has reviews on the medium of audiobooks, something that I still have to try out (yep, I know I am sorry Aaron, but I promise I will get to that eventually at some point). The only downside that I can think of is the fact that because of his blog I keep adding books to my to read (and now also to listen to) lists, but I guess he is not the only one to blame for that. So let me provide a link to one of his audiobooks reviews for Alien:River of Pain. Being a huge fan of Alien, I highly enjoyed reading this, and since then he has also had reviews on a few other books of that franchise. In short his blog simply must be followed…nuff said! Now as you all know I love science fiction and Mr. Bobinsky offers a blog that is pretty much dedicated to this fantastic medium. He has a vast knowledge of science fiction, but not only on mainstream science fiction, but also on a few lesser known movies. I have had a couple of great discussions over on his blog with him, and he really is an incredibly kind guy to talk to as well. He also has, what I think a very unique looking blog, that offers a wealth of reviews, augmented reality posts, and also features about the history of aerospace. But one of the things on his blog that I have really come to like the most is the enormous amount of truly awesome posters that he provides for classic science fiction / horror films. I keep wondering where he finds them each time but they are really spectacular to look at. In short, this is a blog that you just get lost in when you visit there. So in other words, head over there now, and take a look around. It is worth your time, and I promise that you will follow him after you have done so. Here is a link to one of those post that features posters, this one for the Robocop movie. You know how you sometimes stumble onto a blog and you are wondering how on Earth you did not discover it sooner? This is one of them. Another blog, that I haven’t been following for very long yet, but it’s so far been an absolute delight. I have had a very friendly and quite frankly very welcoming chat with Ml.Bradford in our first online exchange with the topic being Star Wars. That’s where I discovered he was also a huge fan of this wonderful franchise (yes despite my rant for episode VIII I am still a fan). He has written a few amazing posts for these films, but of course that’s not the only movie that is being featured on his blog. The thing I love about his writing style is that it contains a really great sense of humor. Also the posts are very insightful and often contain some great background material as well. I have really been enjoying this blog, and I pretty much know there is much more awesomeness heading our way. Here is a link to one of his most recent posts about Star Wars and by reading it you will get a good impression of what I am talking about. It’s great isn’t it? So…..that’s a wrap, for now that is! And that brings this first edition of Bloggers in the Spotlight to a close. I plan to make this a monthly feature on my blog and will try to bring out different topics each time, when I can. Next month I will focus on a few bloggers whose blogs don’t really fall into any kind of particular category, but are still very awesome all the same. I hope you have all enjoyed reading this and this helped you discover a few new bloggers as well. Thanks as always for reading, and see you at the next post! Previous PostIt’s Cold Outside – Time for a BlogwarmingNext PostLet’s All Write a Book |Chapter 1-Paragraph 3! What an awesome post series idea! Oooh, I’m going to be spending a lot of time at your blog during February! I have two posts to look out for! I must check these out. Unfortunately, my phone is not letting me, so it’ll have to wait until I get to my laptop later. I could use Mio’s face for my reaction right now. Thanks for the mention! Haha😂😂 You are welcome. True enough, I linked to that post, because I still love it a lot! And it showcases your many talents! You are to do nothiiiiing! It is actually nice to know that my write up for a much less popular show happens go be someone’s favorite. Love the idea of this post. May have to do something along these lines in the future. I have been watching Dragonball online. Had a massive binge session with it. Got through so much. My anime list is also longer than my film and book list combined! Very nice. 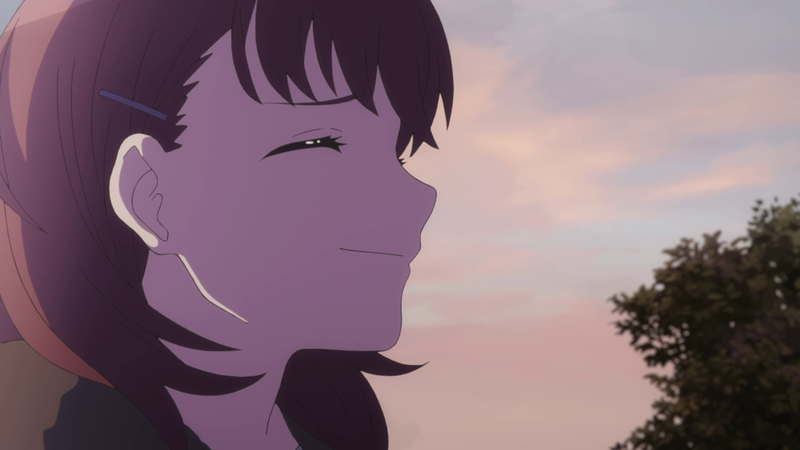 While I follow a lot of anime blogs it is nice to find some bloggers covering a few other topics from time to time and it was great to be pointed in the direction of a couple. Thanks for this – great post idea. It is hard because there are so many good blogs out there to follow. It does make it harder and harder though to make sure I visit all of the blogs I follow as some days I just run out of time. Wuuut?!! 😳 🧐 Okey, I had figured it out because you had a hard time keeping a straight face (in writing however that even works 😂 ) but still, you are such a darling. Yes, our little chat conversations are a very nice additions to all those boring days. Haha as for the celebration and the review/not review….sometimes it is just a good thing to not comment on something lol😂😂 (There is going to be cake on that celebration right ? 🤔🤔🎉🎉). Haha 😂😂 Cool, I will provide the balloons (I’m not comfortable with providing the cake as I am not very good at cooking, and will in all likelyhood blow up my house in the process of cooking😂😂). Well…I guess I can test this out on my birthday and make some kind of picture on it (I have this image of me covered in all those ingredients 😱😱). So yeah I will try and make a cake around my birthday. Maybe I should do a short series of posts about it? Raist brakes a cake? Or something like that. The last post will probably be a picture of me taken into police custody covered in those ingredients I spoke of…with the police thinking it’s illegal substances…or something along those lines. Well…I was serious for at least a full second..so I guess that worked out fine 🎉🎉🎉. Thank u v much for this cool start to th weekend, Michel! Can’t resist a good insight, me. Can’t beat a good wodge of background material! And th groovy GSOH is essential. Raistlin0903 is an absolute delight as well! Haha 😂😂 You are very welcome, I am glad you enjoyed the post and that it was a good start for your weekend! More people just need to find out about your blog, that is for sure! I’ve just spent a happy half hour browsing the blogs – great recommendations! Ah yes, this is easily my favourite way to find new blogs. I have so much faith in the opinions of fellow ani bloggers like yourself that I can be sure to find new creators worth following through your suggestions. I was looking forward to his and you didn’t disappoint. Can’t wait to check out the one’s I don’t know. I do know both Lina and Shoka and you did a great job pinpointing what makes their blogs a must. Two Cars is also one of my fave Shoka posts. I would however like to clear up that my questionable hobbies (Everyone Tag Shoka Please!) started because I wanted to make sure he had to keep posting. It was a *good* intententoin. Now…. Awww Raist that would be so sweet but there are tons of Amazing blogs out there! I already super happy with your help discovering them! Shoka and my two-man comments act sure is popular! we should take the show on the road! Haha: that is a good idea for a collab series of posts between you guys! Irina’s and Shokamoka’s road show 😀😀 That would become a massive succes! You’re asking for it now aren’t you! We have talked about this before but I have made a whimsical decision that collaboration is one of the things not innate to me! I know but this takes next to nothing for planning! Quality of our banter usually, literally treads on how much you can roast me each and every time. I think, that we live in easy, lazy times, where a lot of things we have served ready to use/eat, which make no need to take any effort to get it. People often prefer to choose easy way, but it’s leading to loose satisfaction from doing it (whatever it is about). When it’s to easy, it’s not satysfying. Sometimes after few daysof break from reading blogs, there is so many things to read then I just don’t have time to respond with the comment to all posts. Contact with the readers is great thing and comments are good tool for it. All interesting sounding blogs! I’m going to have to check them out!! I just spent an hour digging about in these blogs 🙂 (mostly on Mr Bobinsky’s 🙂 ) great idea and thanks for introducing them. Thanks Michel 🤗 Your blog is awesome too!!! What a splendid idea for posts, Michel. It’s fantastic how you highlight the greatness of the blogging community. I feel honoured to be featured, Michel. It’s a great feeling. What a lovely feature! Such a nice thing to do!! I love Samantha’s blog too! Thank you so much. That is very kind of you to say so. Samantha has a terrific blog and her posts are awesome to read. As for tiny ugly animal…or Lina ( 😉). She really is terrific…her posts are highly enjoyable. Ahhh, I love these kind of features and truly enjoyed reading your appreciation for some of the blogs you follow- it truly warms the heart. I mean, the friendships and fun to be had is unreal how good and it’s so important to show the love, you know?! Great choices, and great feature idea!! I love that your doing this for bloggers! So awesome !! Thanks for the kind words and the support! Well I hope to keep this series going for most of the year, until I run out of bloggers to support I think lol😂 But you can be sure that you and Trang will be featured on this somewhere this year as well.